MILPITAS, Calif. (KGO) -- New details have surfaced on a violent attack on a Santa Clara County jail guard inside the jail. A picture of the weapon found after the attack was released and it appears to be a shank, or homemade knife of some sort. 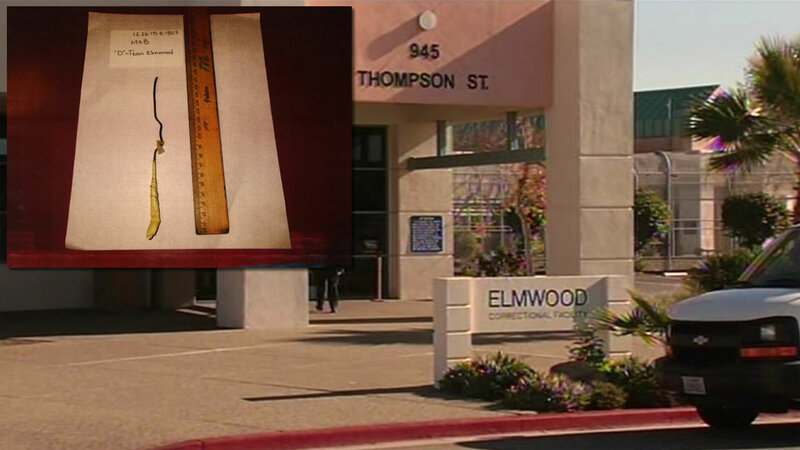 The attack happened at the Elmwood Correctional Facility in Milpitas on Christmas Eve. It involved 10 suspected gang members. The deputy had told them to leave a common area they were not supposed to be in. One of the inmates dropped some contraband. The deputy bent down to pick it up and that's when they started kicking and punching him. The injured deputy is now recovering at home. Because of the attack two guards are now assigned to watch the inmates instead of just one.